Chester Zoo in Cheshire offers Psychology workshops for AS and A Level students that concentrate on observing the zoo’s primates and their behaviour. Teachers can choose for their class to take a walking tour around the Chester Zoo primate enclosures, or opt for two workshops from a list of Psychology-related modules, including courtship behaviour and social structure. On the walking tour around a variety of the primate species enclosures, the group of students will discuss social organisation, communication, intelligence and learning. They’ll also be asked to observe what behaviours the primates are up to when approaching the enclosures. This tour is only available in the autumn and spring terms. • Attachment Theory and Parental Care. 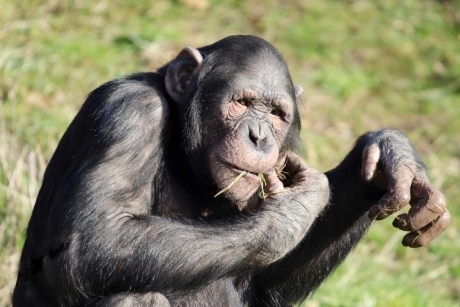 With the works of John Bowlby, Mary Ainsworth and Harry Harlow in mind, the class will take a look at attachment in Chester Zoo’s great apes and explore weaning, maturity and inter-birth intervals. • Animal Behaviour and Welfare. Understanding animal behaviour is essential, and in this module, the students will look at classical and operant conditioning and how people use these techniques and enrichment to look after animals. Imprinting and the work of Konrad Lorenz will also be discussed. • Courtship Behaviour. During this workshop, the class will answer questions like why is it that males usually display and compete for female attention and not the other way around and question how this varies between species. Students will discuss courtship and sexual selection, and consider a few strange case-studies from the zoo. • Social Structure. This session looks at the advantages and disadvantages of being a solitary or social creature, as well as polyandry, polygyny and monogamy in primates. • Evolution of Intelligence. This session involves studying the chimpanzees, and looking at tool use and Machiavellian behaviour. The class will be encouraged to consider factors that could be linked to the evolution of human intelligence, such as brain size, social complexity and the environment. These modular workshops are available to book between 5th September and 31st July 2017. To make a booking, teachers should fill in the booking form, accessed here. For further information visit www.chesterzoo.org/education.